Yes, yes, yes! 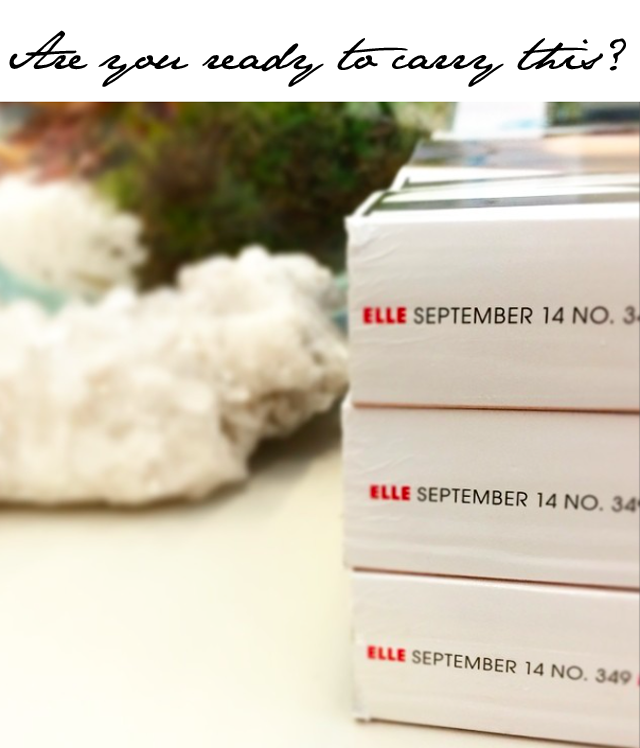 September issues are coming and we're only days away from the first titles arriving in mailboxes across the country. Elle magazine knows we're all waiting for the big arrival moment and decided to tease us today with a first look at their gigantic September issue for 2014. This is not an exaggeration, the issue is indeed massive. So this is just a reminder to get those lifting arms in shape as you'll need some serious muscles to lift these issues, for reading as well as carrying. Keep an eye out as we bring you new issue releases as they happen... watch this space!